Rainy day activities in Wellington. What can we say? It’s Wellington. It rains a lot. But that doesn’t have to stop you from having a blast in the world’s coolest little capital! Being a city, there are plenty of indoor attractions to keep you occupied while the rain is pounding down. So here’s an all-helpful list of things to do in Wellington on a rainy day. 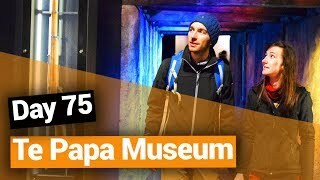 Most of Wellington’s main attractions just happen to also keep you out of the rain, such as the Te Papa Museum, New Zealand’s national museum. Make use of the food scene in Wellington by checking out our recommended cafes and craft beer bars. To end it all, do a classic Parliament tour, just because you are in the capital city! All the activities listed below are in Wellington’s city centre with the exception of the Weta Workshop in Miramar. (It’s only a bus ride away from the city centre though). By the way, don’t miss these 10 Wellington Must-Dos. It comes as no surprise that the Te Papa Museum graces the top of our things to do in Wellington on a rainy day list. You can spend hours and hours in this interactive museum covering all things New Zealand. Learn about New Zealand earthquakes, volcanoes, wildlife, culture and more! Gallipoli: The Scale of Our War (until 2019) among other temporary exhibitions are a must-see! Where sci-fi and fantasy come to life! Take a trip out to the Miramar Peninsula, nicknamed Wellywood, to see some behind-the-scenes of some of cinema’s biggest blockbusters. Weta is the company behind the special effects, props and costume of The Lord of the Rings, The Avengers, District 9, Avatar, King King and so much more. 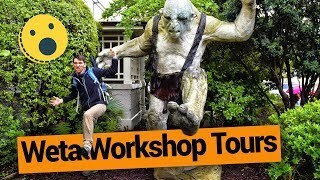 Visit the free-entry Weta Cave with a mini museum and documentary. Additionally, there is the affordable Weta Workshop tour and the Thunderbirds Are Go tour. Check out more Guide to The Lord of the Rings in Wellington. It’s a stereotypical city tourist thing to do, but a Wellington cafe is a great place to relax on a rainy day. Check out Cuba Street for the likes of Grill Meets Beer, Fiders, Southern Cross, Olive, Plum and the Cuba Street Bistro. We also like Enigma on Courtenay Place that is open until late! Get some inspiration on where to go with our 5 Cool Cafes With the Best Coffee in Wellington. Watch a movie for free – any movie (well, anything within the 150,000 titles they have at the Nga Taonga Sound & Vision, formerly known as the Film Archive). The venue has a cafe, gallery, cinema and an extensive media library. When it’s too wet to look at the Wellington street art, check out the contemporary exhibitions in the City Gallery. The free-entry gallery has ever-changing exhibitions from New Zealand and around the world. 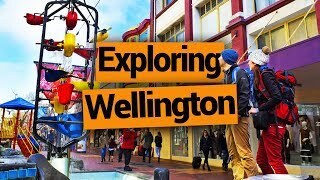 Check out more 14 Free or Cheap Things to do in Wellington. If you like all things hoppy, then you are in for a treat in Wellington. Stay out the rain and drink your sorrows away in one of the many craft beer specialist bars in Wellington. To name a few, there is Malthouse, Golding’s Free Dive, Rogue and Vagabond, Hashigo Zake, The Hop Garden, Little Beer Quarter, Crafters & Co. and D4 on Featherston. Phew! Location: All over Wellington city! In an 1892 heritage building, explore three floors of exhibitions, films and stories showing Wellington’s history! Food stalls! Food stalls everywhere! The best thing about the Capital Market on a rainy day is that it is all under cover. There is a variety of oriental food, as well as a bar and a gluten free joint. Plus, most of the food is quite cheap with some meals being around NZ$8. Ok, so this is more of a rainy “night” activity, rather than the day. Wellington is famous for always having something going on, especially with comedy! Have some laughs, have a beer… You know how these things work! Comedy gigs are usually pretty affordable at around NZ$20 in VK’s Comedy & Blues Bar, The Fringe Bar, Cavern Club and occasionally The BoileRoom. You’re in the capital city so why not visit New Zealand’s government? New Zealand Parliament put on free tours around the Parliament buildings, showing you its grand architecture, earthquake proofing methods, and how a democracy works in New Zealand. There is no filming, photography or phones allowed, but you can store your belongings in a locker before the tour. The tour lasts about 1 hour. 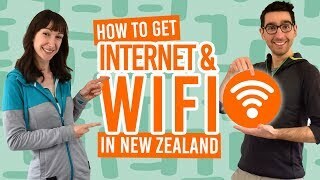 Get your YouTube binge-watching session on with New Zealand’s Biggest Gap Year! 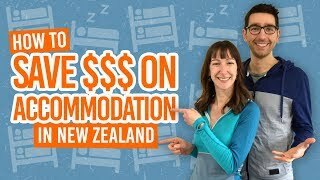 Get some inspiration for your next New Zealand activity as you watch these two backpackers take on 365 Days: 365 Activities in New Zealand! Make sure you subscribe! … Feast your eyes on these “Welly” good articles about Wellington!